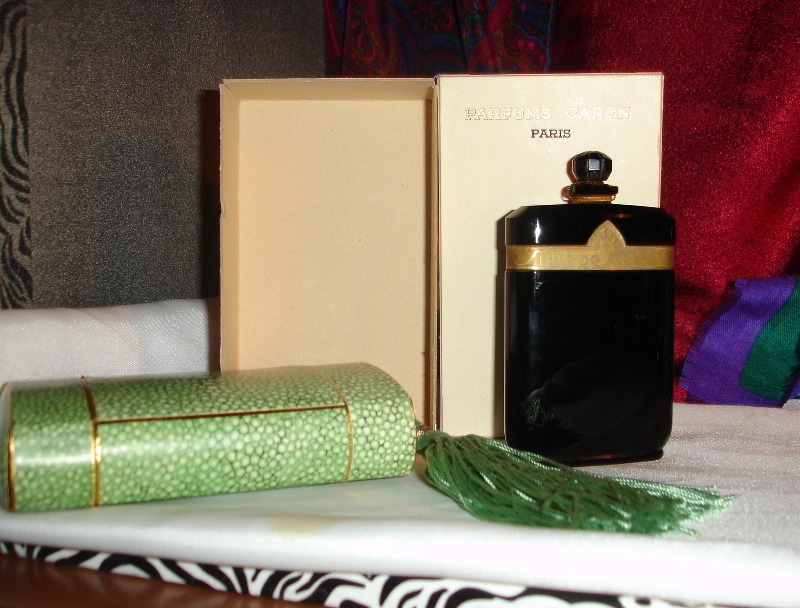 Unused, pure parfum extrait in a beautiful presentation. 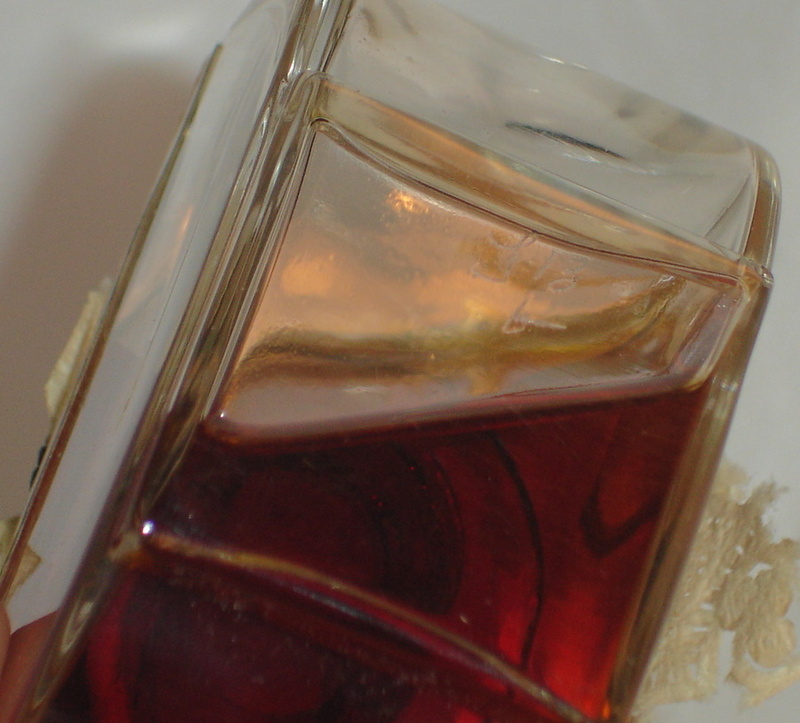 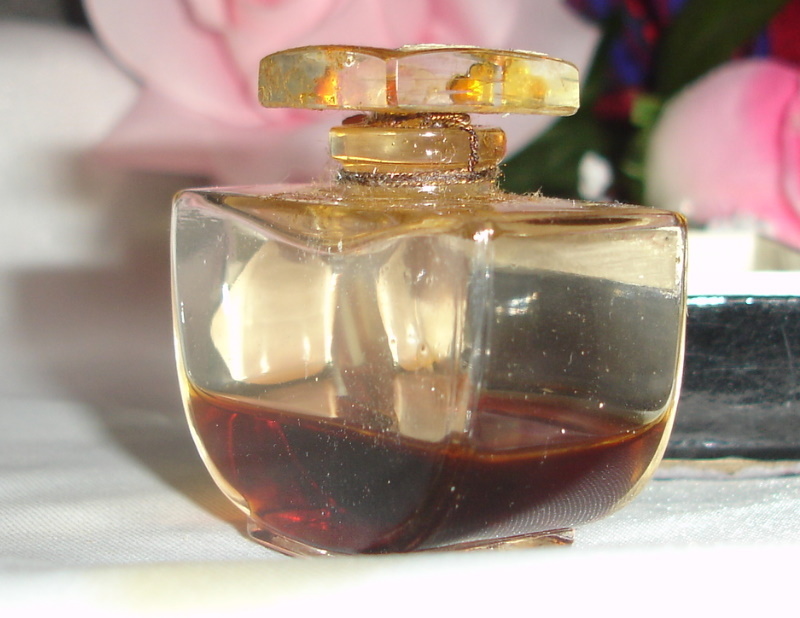 Aimez Moi was launched in 1996 as a tribute and reformulation of a previous perfume from 1916. 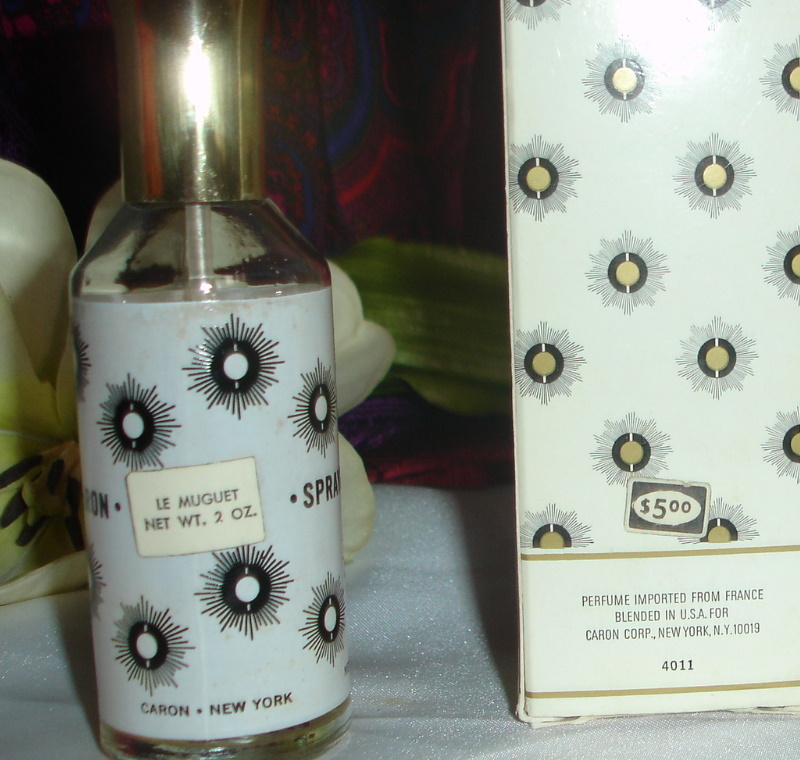 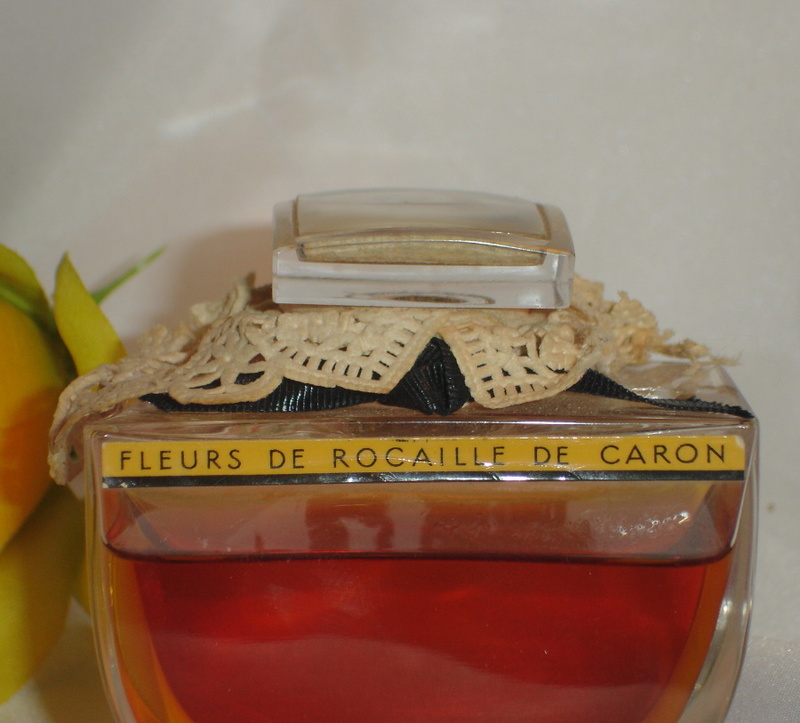 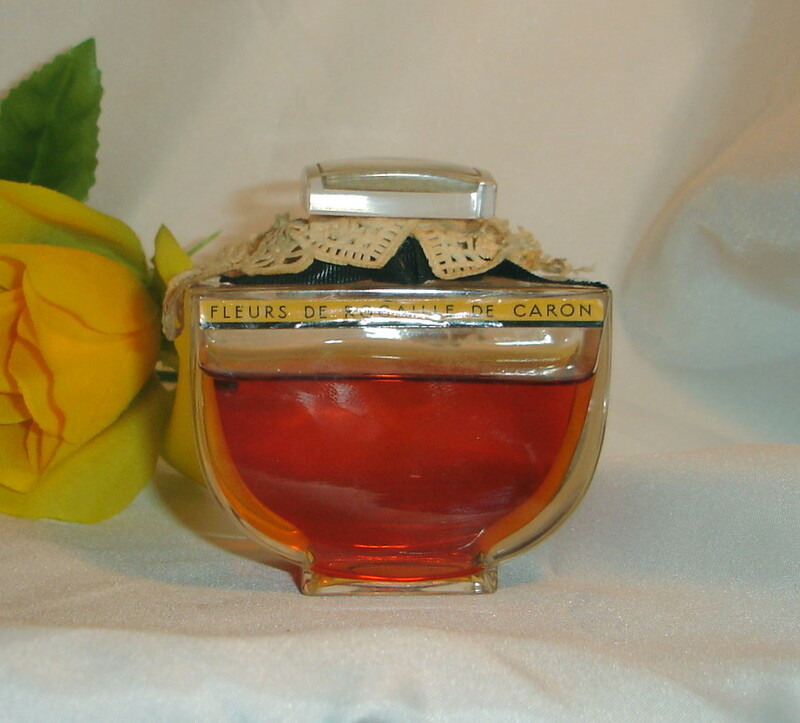 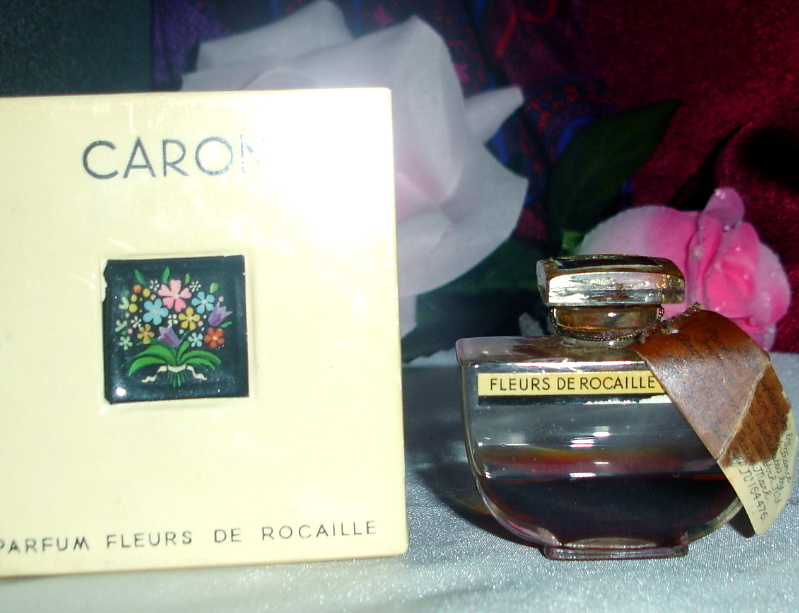 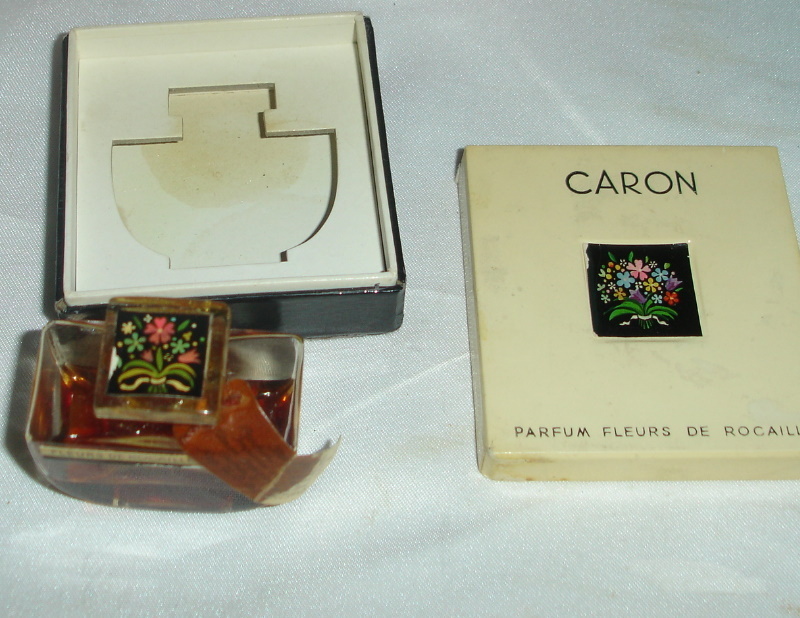 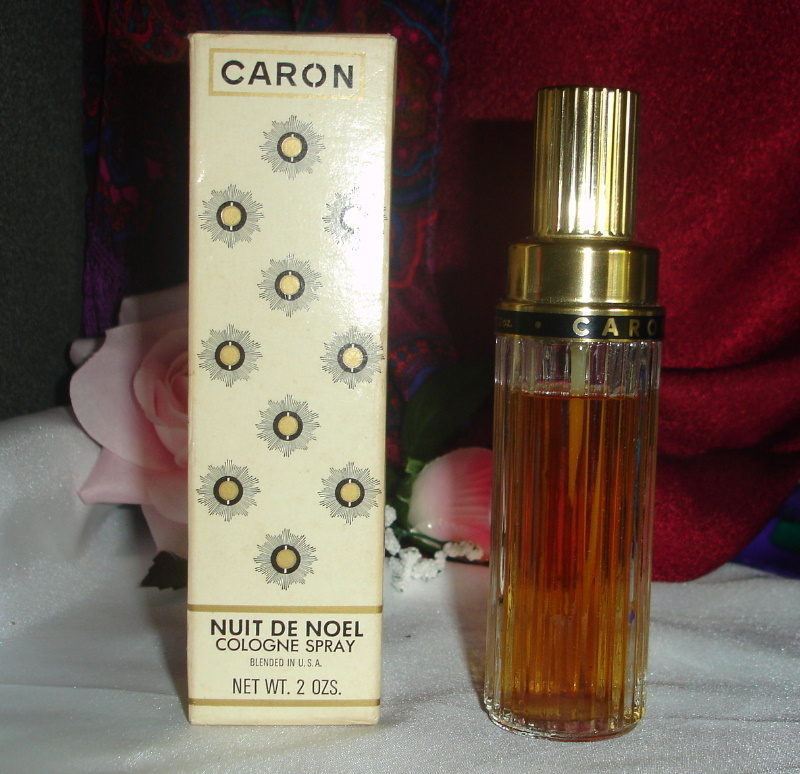 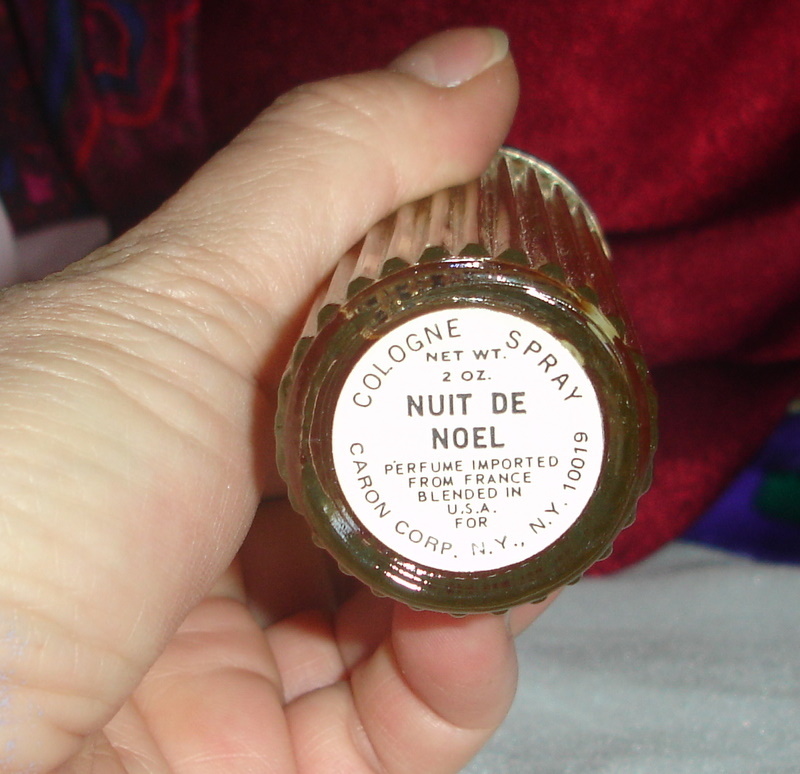 This perfume was created by perfumer Dominique Ropion, (same nose who created the scent for Frederick Malle, Carnal Flower). 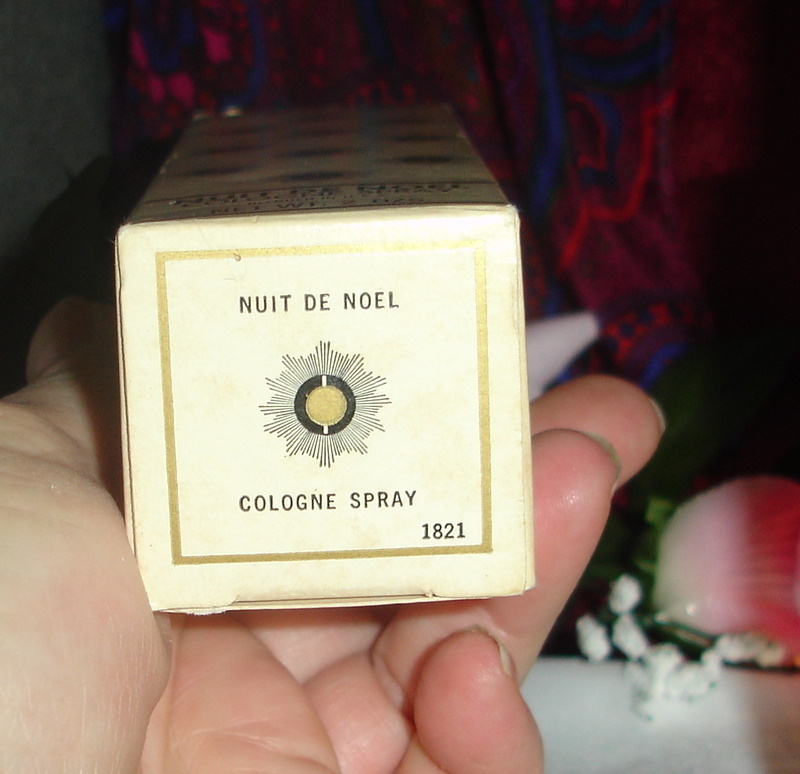 The notes are anise, freesia, violet leaf, bergamot, mint, caraway, magnolia, cardamom, jasmine, peach, iris, heliotrope, tonka bean, amber, musk and cloves. 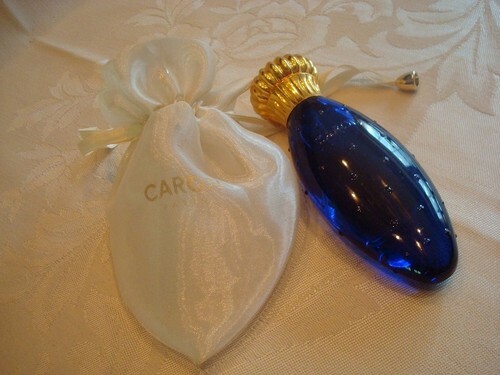 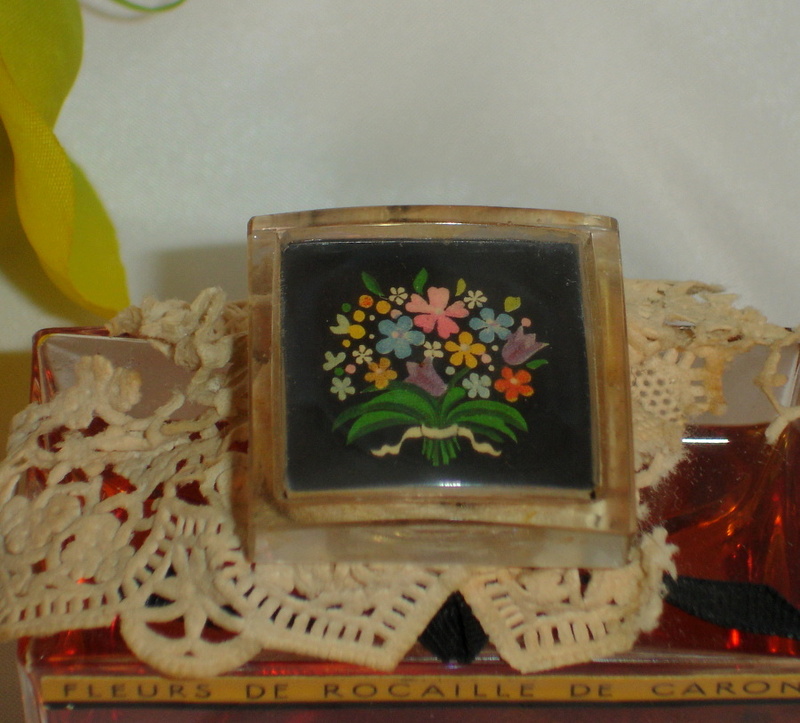 This parfum bottle is no longer available. 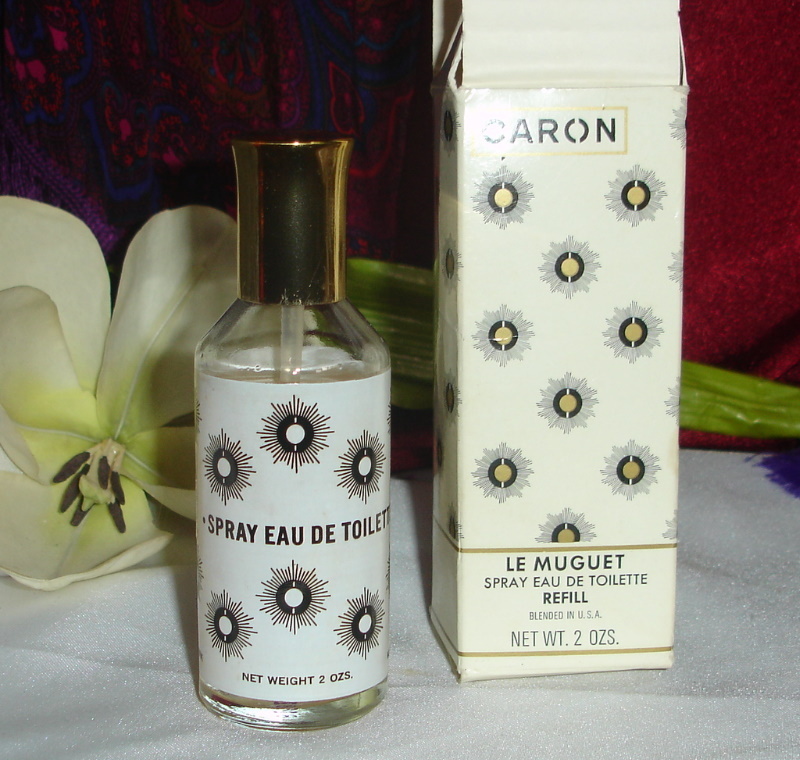 Aimez Moi is probably the world's most well known and loved anise-note scent, and one of the most popular of the classic Carons. 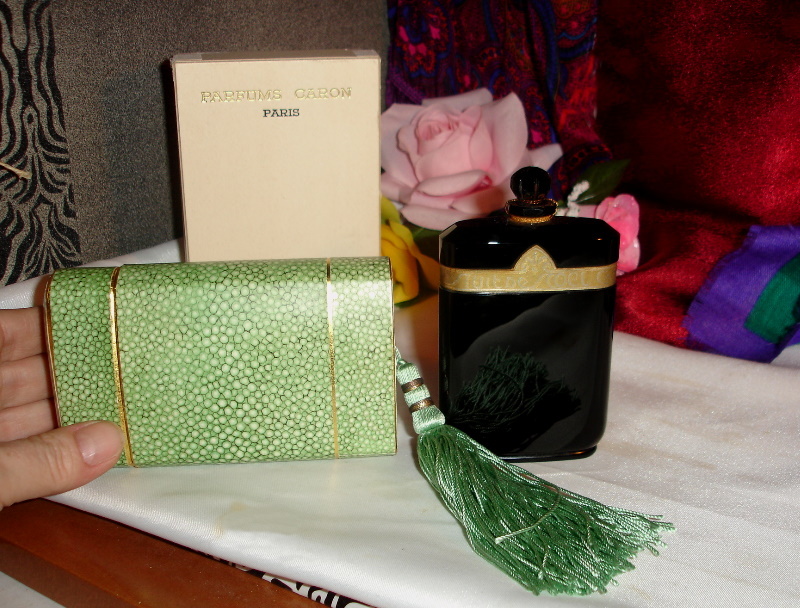 Size is 3/4 of an ounce and comes in its carrying pouch. 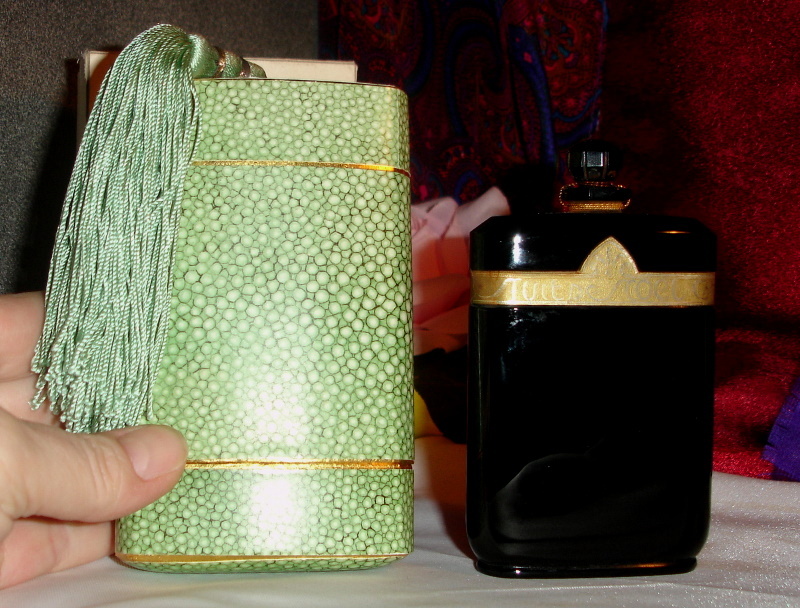 Gorgeous, rare bottle. 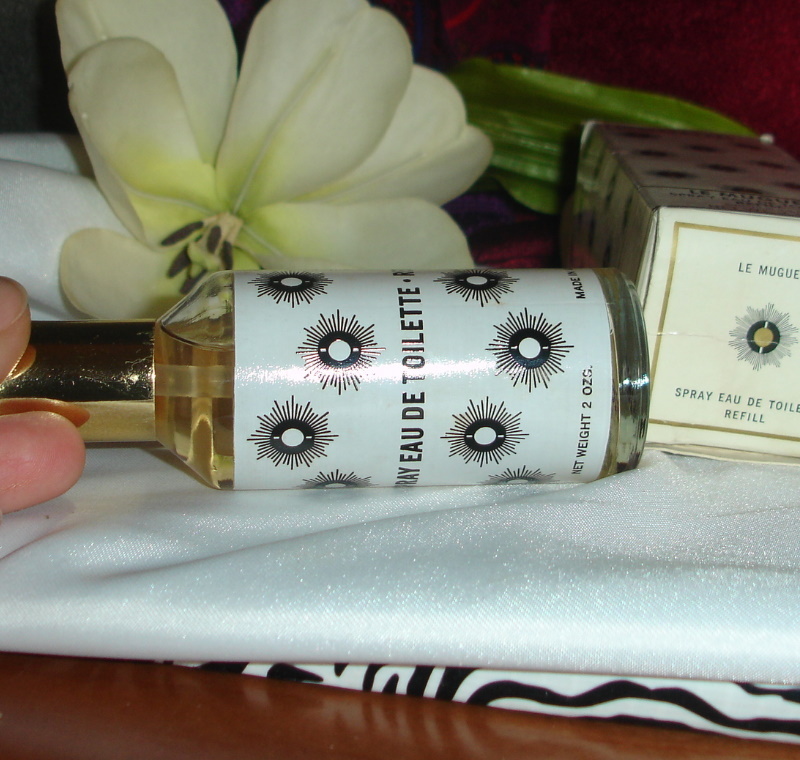 Aimez Moi is an unusual scent. 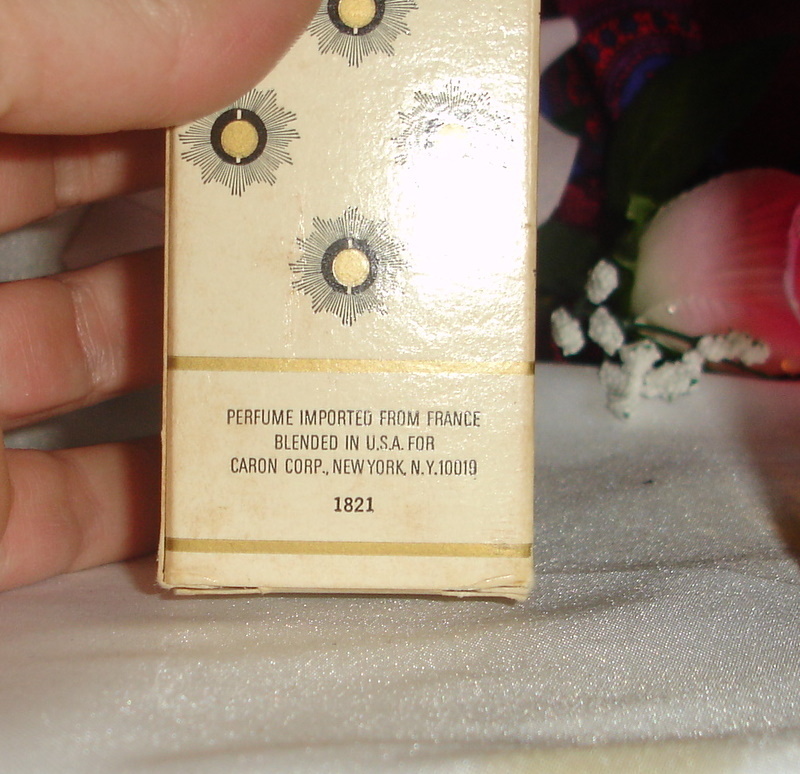 It smells deep and cool, and rather mysterious. 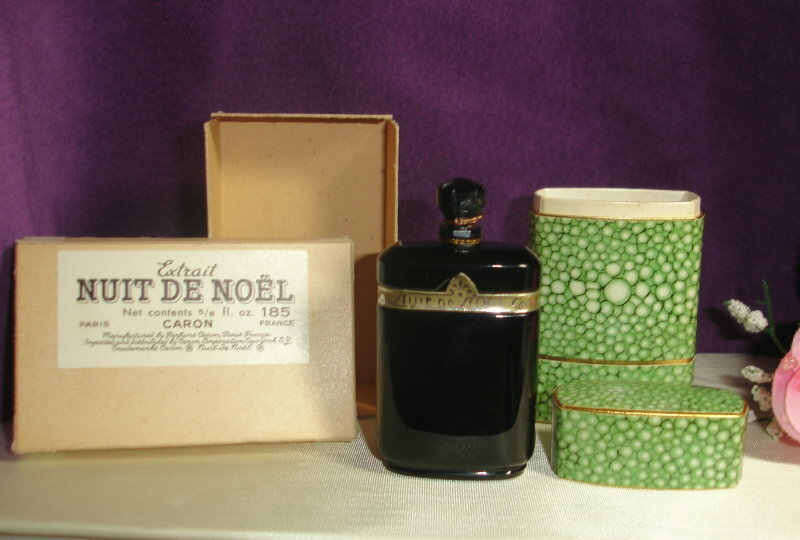 This is a wonderful vintage presentation of Nuit de Noel. 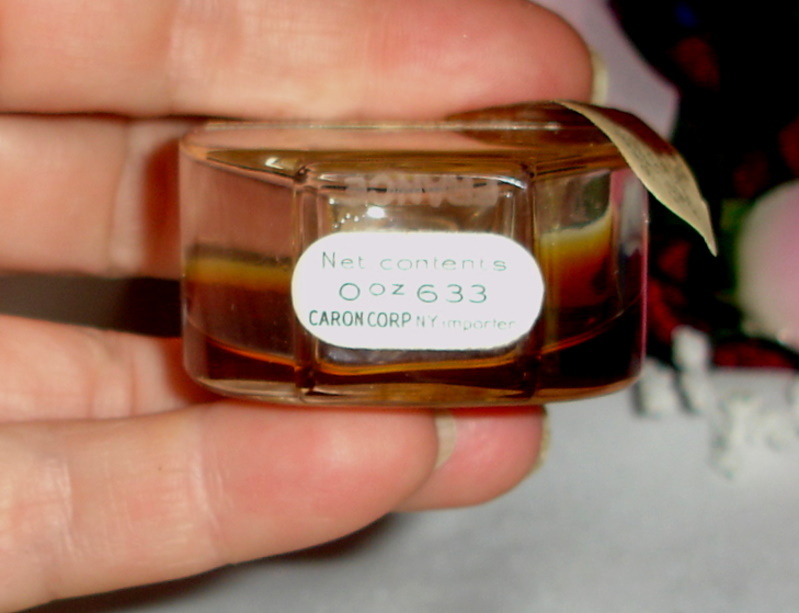 I thought this was sealed, but on close inspection it is not sealed. 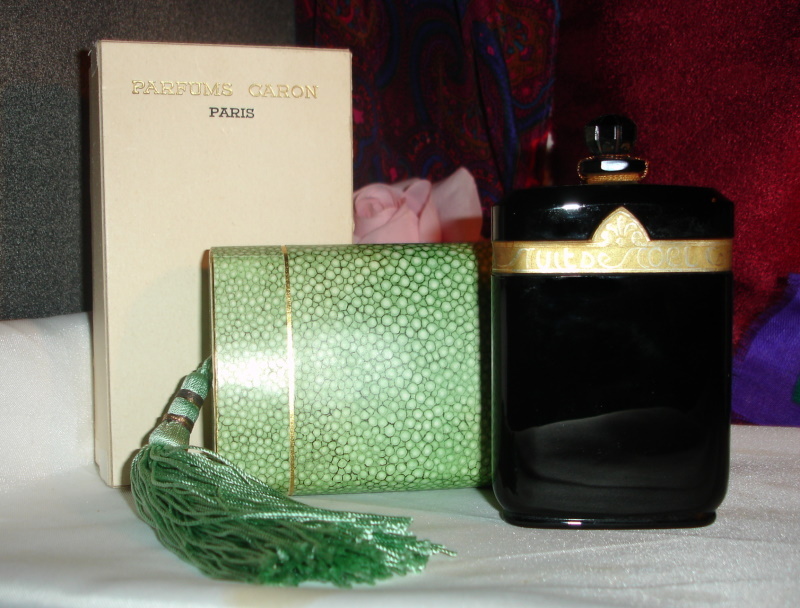 It has about 70% perfume inside and include both boxes. 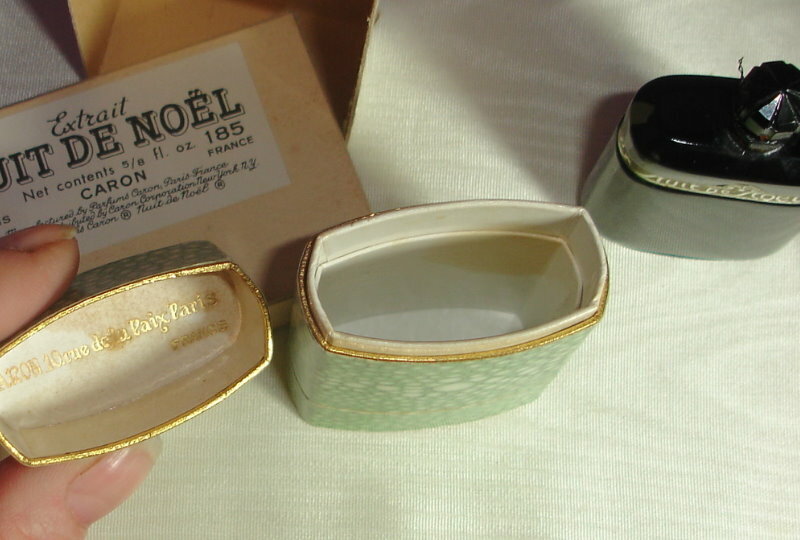 Small amount of leakage inside box.